TweakNow WinSecret - программа для тонкой настройки Windows. TweakNow WinSecret 2011 содержит наиболее востребованные параметры для изменения настроек операционных систем Windows XP/Vista/7. Все параметры разделены по категориям: приложения, панель управления, рабочий стол, сеть и Интернет, информация о компьютере, учетные записи пользователей, ядро Windows и различные другие настройки. Если работа программы приведет к нежелательным последствиям, то можно сделать откат, используя соответствующую функцию, что вернет все настройки на прежние. As a long time Windows user you might have heard about registry. The registry is a special file in your hard disk that hold most of Windows settings data. 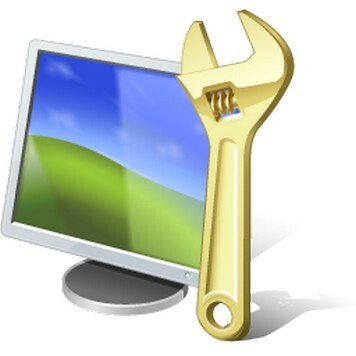 Wish to improve your internet speed or display message at Windows logon? No problem, those tasks can easily be done by simply editing the registry value. Unfortunately registry is not a friendly place for most people. Changing a wrong value in the registry may cause an unpredictable problem to your Windows. This is why novice users should not edit registry value directly using a registry editor by them self. In TweakNow WinSecret, we have gathered the most popular Windows XP/Vista registry settings and provide them for you in an easy and safe user interface. Windows Secret->Applications->Internet Explorer: Added option to personalise Internet Explorer 9 Title Bar. Windows Secret->Miscellaneous: Added option to disable AutoPlay feature. Windows Secret->Miscellaneous: Added option to disable Aero Peek feature. Windows Secret->Miscellaneous: Added option to modify delay time for Aero Peek. Windows Secret->Miscellaneous: Added option to disable Aero Shake feature. Windows Secret->Miscellaneous: Added option to disable Aero Snap feature. General: minor improvements and bug fixes.